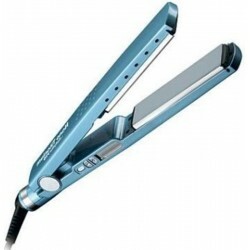 Flat Irons - Just Beauty Products, Inc.
Flat Irons There are 16 products. The Stilopro Professional Ceramic Flat Iron Ceramic coated plates, distributes heat with perfect uniformity for impeccable straightening. The reflective Ions generated by the straightening iron neutralize this positive charge and so eliminated static electricity. 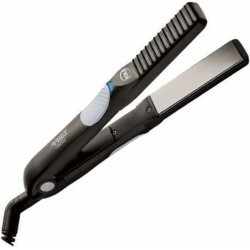 The Stilopro Professional Flat Ionic-Titanium Iron distributes heat with perfect uniformity and because of this guarantees perfect heat stability for impeccable straightening. The negative Ions generated by the straightening iron neutralize this positive charge and so eliminated static electricity. 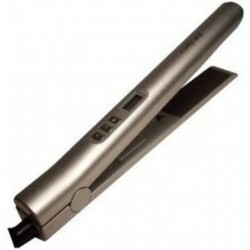 The Stilopro Professional Digital Ionic-Titanium Flat Iron distributes heat with perfect uniformity and because of this guarantees perfect heat stability for impeccable straightening. The negative Ions generated by the straightening iron neutralize this positive charge and so eliminated static electricity. 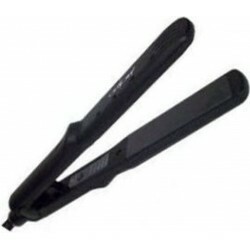 The Stilopro Professional Flat Ionic-Titanium Iron 1/2 distributes heat with perfect uniformity and because of this guarantees perfect heat stability for impeccable straightening. 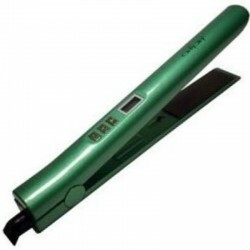 The negative Ions generated by the straightening iron neutralize this positive charge and so eliminated static electricity. 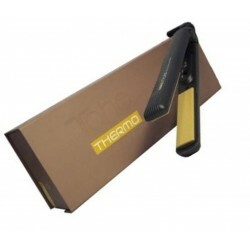 The hair straightening Ionic Iron Thermo Styling Big from TAHE is ideal to creates wavy, curly, straight and natural hair styles with textures and volume. 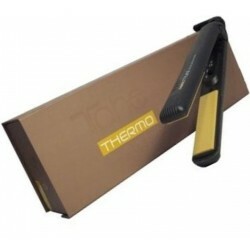 The hair straightening Ionic Iron Thermo Styling from TAHE Small is ideal to creates wavy, curly, straight and natural hair styles with textures and volume. 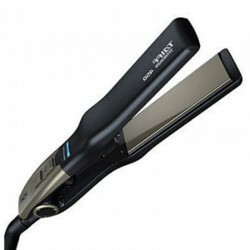 The Taiff Titanium 450ºF Flat Iron Ceramic coated plates, distributes heat with perfect uniformity for impeccable straightening. Recommended for Keratin Smoothing Treatments. 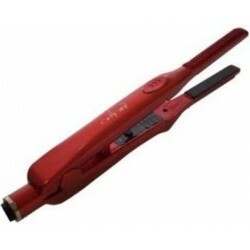 The Taiff Look 1" Ceramic Ionic Flat Iron Dual Temperature 310ºF and 410ºF, distributes heat with perfect uniformity for impeccable straightening. 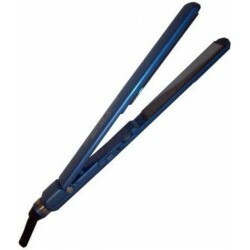 The reflective Ions generated by the straightening iron neutralize this positive charge and so eliminated static electricity. Recommended for Keratin Smoothing Treatments. The Babyliss Pro Flat Iron includes 1¼ inches Nano Titanium plates with Advanced Surround Heat to straighten your hair 40% faster. 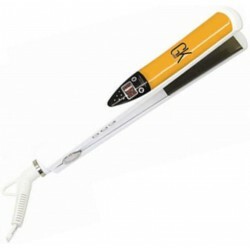 Digital ionic LED temperature setting up to 450ºF, a lightweight and slim design with new technology. Recommended for Keratin Smoothing Treatments. The Babyliss Pro Flat Iron includes 1 inch Nano Titanium plates with Advanced Surround Heat to straighten your hair 40% faster. 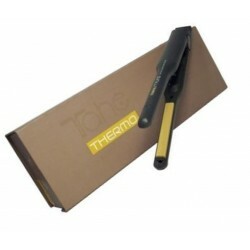 Temperature setting up to 450ºF, a lightweight and slim design with new technology. Recommended for Keratin Smoothing Treatments. 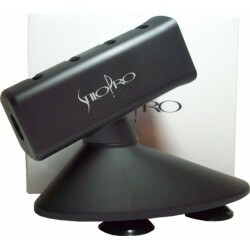 The Babyliss pro has heating ceramic plates that wrap the hair around the edges for easy finishing touches!. Also comes with a removable comb. 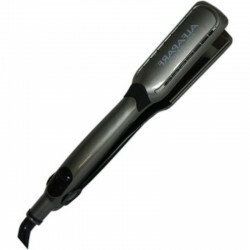 The Babyliss pro with the new swivel lock, maintain the iron in the closed position when not in used, maintaining the maximum temperatures of 220 degrees in the plates. 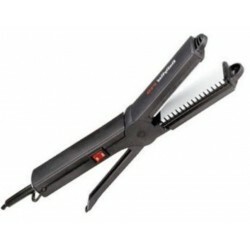 Alfaparf Milano 1.5 Inches Professional Smoothing Iron. Built with the Stylist in Mind - Lightweight ergonomic design means less strain and fatigue. That's a good thing.